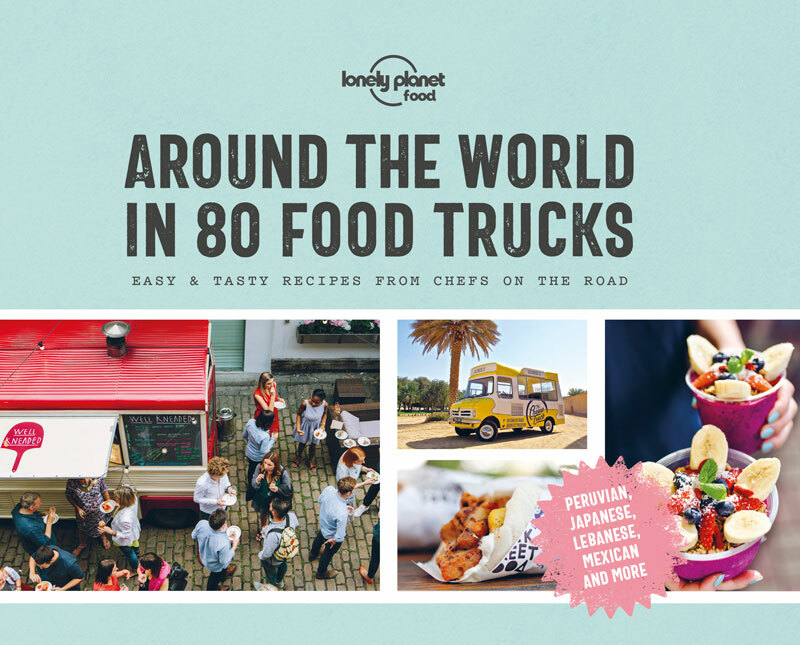 Around the World in 80 Food Trucks, published this month by Lonely Planet, includes just 12 Australian mobile food vendors, with Sneaky Pickle the only South Australian business featured. The book has signature recipes from what are described as “the most exciting chefs on four wheels”, with other featured food trucks from countries as diverse as Brazil, China, Uruguay, Colombia, the US, France, India, Ireland, Japan, Kenya, Lebanon and Russia. “Sneaky Pickle was one of the first food trucks in Adelaide in 2012 and now has a cult following,” the guide says. “Inspired by the towering Jewish pastrami sandwiches they’d encountered in New York City, chefs Jeff and Amanda Griffiths quit their restaurant jobs and bought a van. Jeff Griffiths told InDaily he doesn’t know how Sneaky Pickle came to be nominated for inclusion, but he expects it will increase awareness of the business, especially among US travellers and other visitors to Adelaide. “The food truck movement [in terms of the number of vendors regularly operating on city streets] has slowed right down, so for us it’s a definite benefit … a lot of people only hear about us through word-of-mouth and then Lonely Planet comes along and tells the world who we are! Sneaky Pickle started operating as a food truck in 2012, then opened a small restaurant in Goodwood Road in 2016. Griffiths says that with people lining up for 40 minutes to get a table, they decided to look for bigger premises, eventually opening the new 180-seat restaurant further down the road late last year. One thing that hasn’t changed substantially is the core menu, which features regular items such as smoked pulled-pork, BBQ brisket and fried chicken sandwiches, pork loin ribs and cherry-smoked wings, along with rotating specials. As the Lonely Planet book mentions, the Griffiths regularly travel to the US, where food trucks are a big part of the food culture, and return home with new inspiration for their business. “We’ve tried to stick to having as much authenticity in our products as we can, and that’s the thing people notice the most,” Jeff says. “We use real wood and real smoke … we get up at 5am to put wood-fired barbecues on and make everything ourselves, including the pickles. We’ve never changed from that. A Lonely Planet spokesperson told InDaily the vendors chosen for Around the World in 80 Food Trucks were nominated by its global network of authors, researchers and photographers, with the final list curated by a publishing team in London to ensure a good geographical spread of food trucks from around the world. The other Australian food trucks included are Açai Corner in Perth; Sydney’s Cantina Movil and Volkswurst; Clinto’s Kupmurri and Little Wahaca on the Gold Coast; Melbourne’s Greek Street Food, Mr Burger, Pasta Face, Toasta and Yo India, and Little Bonnie Dot in Mullumbimby. The Sneaky Pickle pulled-pork sandwich recipe featured in the book was the third key item added to the food truck menu when it first started operating, and remains a favourite among regular diners. Mix the spice rub ingredients together in a large bowl. Thoroughly rub the mixture into the pork and allow to stand for at least 1 hour. Preheat oven to 120C or set up a smoker, and cook the pork for around 3 hours, until tender. For smokers, aromatic cherrywood is preferred. Pull the cooked meat from the bone (chop if needed) and place in a deep tray. Combine the sauce ingredients and pour over the pork. For the slaw, core the cabbages and shred the leaves into long, thin strips. Grate the carrot and coarsely chop the parsley, then combine with the cabbage. Stir in mayonnaise and mustard and add pepper to taste. For a less-sweet result, use less carrot. To serve, scoop pork into halved rolls, top with slaw and cap with the roll lid. Serve with a side of French fries and deep-fried pickles. Extract and recipe are from Around the World in 80 Food Trucks, reproduced with permission from Lonely Planet © 2019; www.lonelyplanet.com.